Once upon a time, a bullrider fell in love with a campdrafter at the Great Western Hotel. They got married, had a little girl, then a boy and started building their dream life in the hills near Dululu. They trucked in a little house and put a verandah on it so they had somewhere to enjoy an afternoon beer (because the sunsets are worth watching out here). They made a veggie garden - which is now overflowing with zucchini and pumpkin, and they're working on building a cubby house for that little boy and girl to play in. 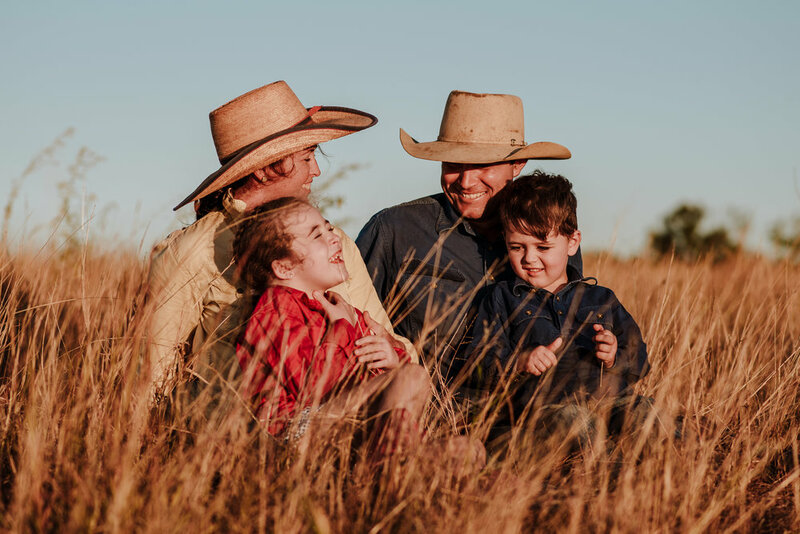 Six years ago, Kate was a social worker in Brisbane and a proper city girl - while Ash worked on the family Brahman stud in Bajool. 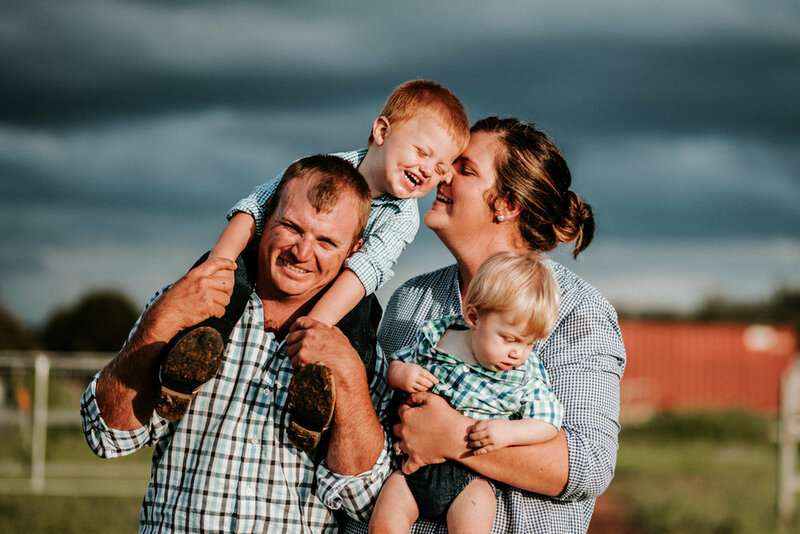 It took a chance meeting at Beef Week to start them on the journey that's lead them here: to a property near Moura with Arnie (the cute baby), Maisey and Macho (the reckless faux-working dogs). Family sessions like this one are my favourite. With everyone still in their work clothes looking wild and our pockets full of snacks, we set out in search of some sweet light. At first, Tyson was stuck on the grader (they're building a shed) so we used the opportunity to get some shots of Pip with her girls.